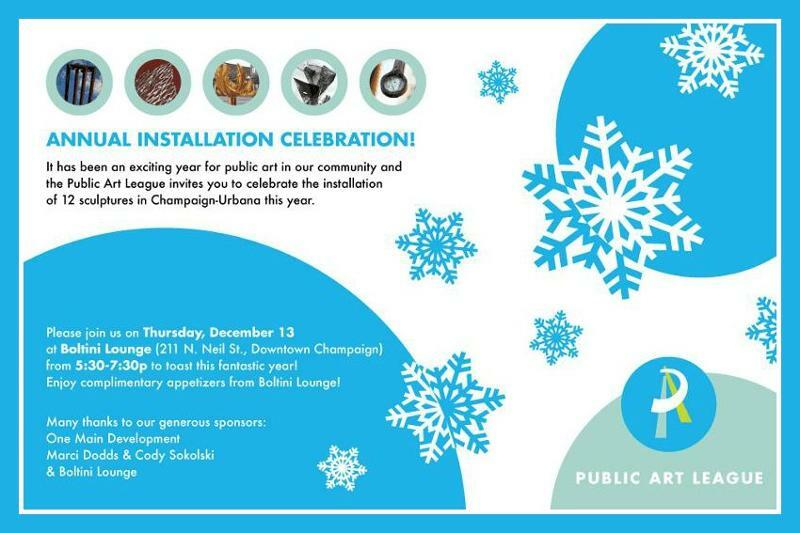 Please join us on Thursday, December 13th at Boltini Lounge for the Public Art League's 2012 Installation Celebration! 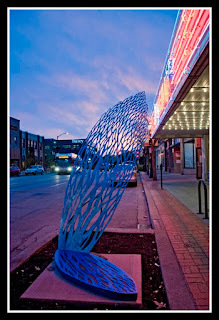 It has been a great year for public art in Champaign-Urbana! Please come celebrate with us. The Public Art League Welcomes Fall with Four New Sculptures! Earlier this year, the Public Art League was the proud recipient of a Marajen Stevick Foundation grant through the Community Foundation of East Central Illinois. It was specified that the grant be used toward the purchase of sculpture. We are proud to announce the purchase of "Incursion" which is installed on the southeast corner of Neil and Washington streets in downtown Champaign. Scott Mental's inspiration is for us to re-evaluate and appreciate the spaces that we interact with on a daily basis. 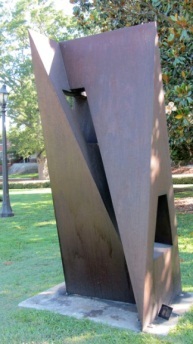 "Incursion" is a wonderful addition to the permanent art collection in our community. 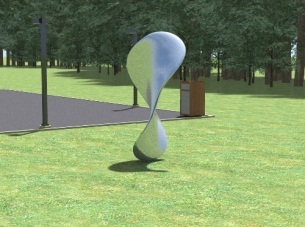 If you are walking though One Main Plaza, you will notice "Ripples" by Don Lawler. 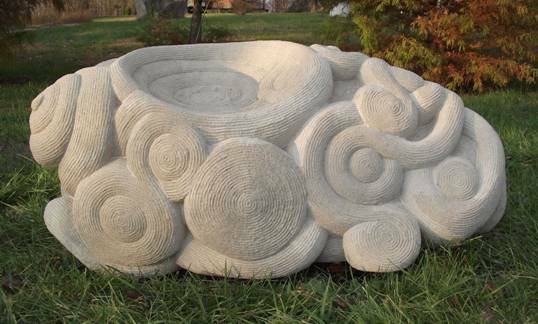 The sculpture is carved from a single piece of Indiana limestone and represents the "circle of acquaintances" we have with neighbors, friends and family. Like ripples on a pond, they touch our lives and the lives of others. Thank you to the Noel family for their site sponsorship of this piece. As part of the celebration of the City of Urbana's continuing designation as a "Tree City USA", "The Wind in the Trees" was installed on Main Street in downtown Urbana. 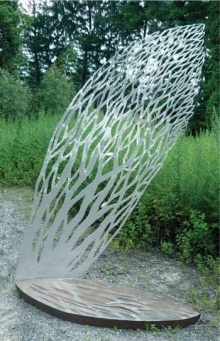 The sculpture is a silhouette of a tree mounted on a steel base which is cut in its shadow. The layers of metaphoric allusions on the sculpture suggest the essence of a tree moving in the wind. Thank you to the City of Urbana Public Arts Commission for the collaboration and site sponsorship of this piece. 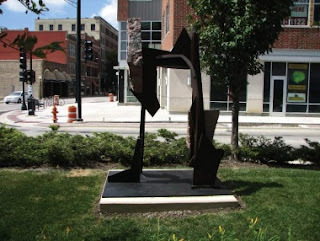 Standing 18 feet tall, 15 feet wide and 15 feet deep, you cannot help but see "THEB #1" (The Empty Box #1) as you enter Champaign on Neil Street from the north. Installed just north of the Blue Line Station building, "THEB #1" is a framework through which you can see the landscape beyond. 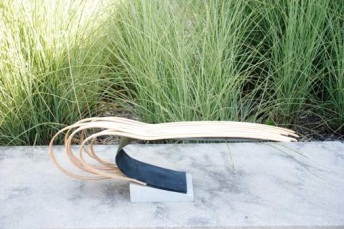 The geometric forms contrast with the urban and natural elements around it. 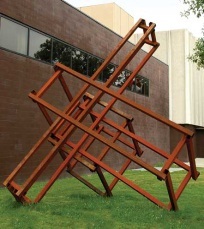 The artist has made it impossible to negate the surroundings and simultaneously made it impossible to ignore the sculpture. 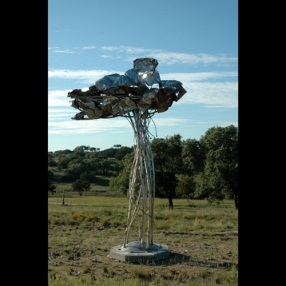 Thank you to Mellander Holdings and Surface 51 for the site sponsorship of this piece. 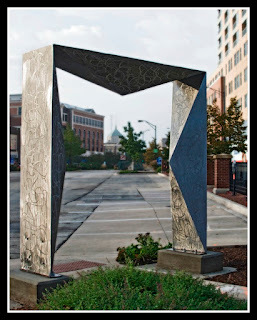 Thank you to photographer Della Perrone for her wonderful photographs of the sculptures installed by the Public Art League in Champaign-Urbana. Della took the photographs above and has provided us with fantastic pictures of all of the sculptures currently installed. Thank you Della! 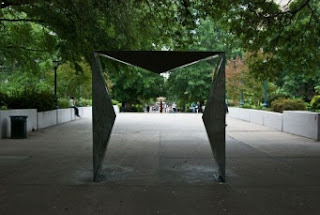 If you are interested in assisting in bringing more public art into our community, or keeping the fantastic pieces we have here, please contact us at info@publicartleague.org. Thank you for your continued support! It's an exciting year for public art in Champaign-Urbana! 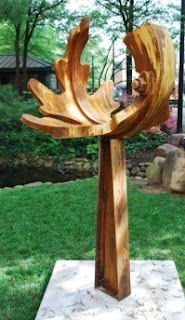 Our "Calls to Artists" generated 80 fantastic submissions from sculptors throughout the United States (and as far away as Japan)! We are excited to share this year's finalists with the hope we can work together to bring them to the community in 2012! Thanks to Carolyn Baxley, Nan Goggin, Pat Samman, Robin Hall and Lawrence Hamlin for participating in our Advisory Jury Panel. Thanks to Christina McClelland, Tom Carrino, Pat Samman, Susan Pryde, Carolyn Baxley and David Wilcoxen for participating on our Advisory Jury Panel. 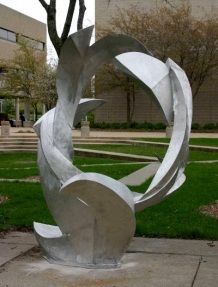 We are currently seeking sponsors to bring these wonderful sculptures to Champaign-Urbana. 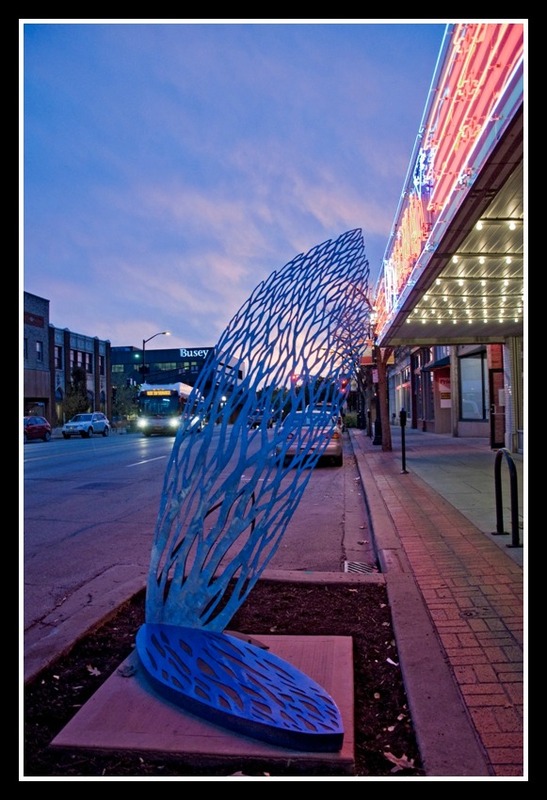 For more information on how you can help, please contact info@publicartleague.org. 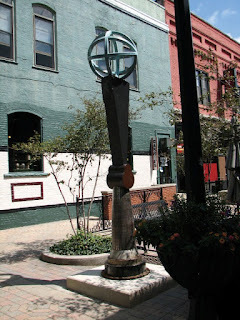 Thanks to all who joined us at the 2012 Sculpture Unveiling Party at Big Grove Tavern. The enthusiasm was fantastic! A special thanks to Nash + Marlow and the Barham Benefit Group for sponsoring delicious appetizers. 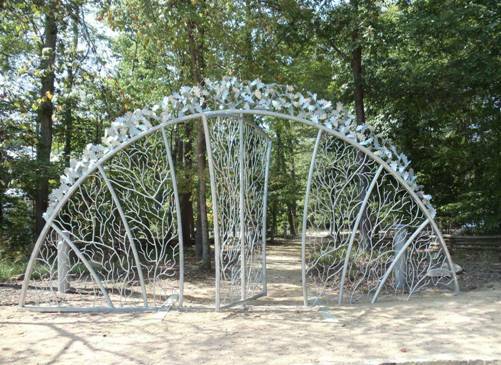 The Public Art League is proud to announce that it has received a $6,000 grant from the Marajen Stevick Foundation through the Community Foundation of East Central Illinois. 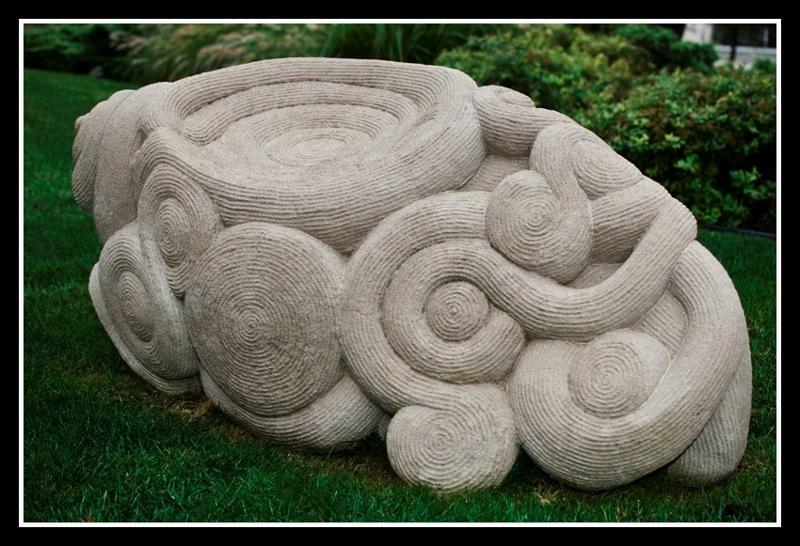 The grant is to be used toward the purchase of sculpture. 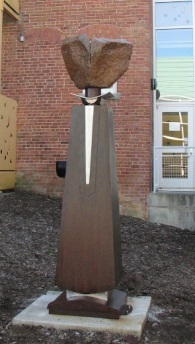 Sculptures in the Public Art League's program are leased for two years. 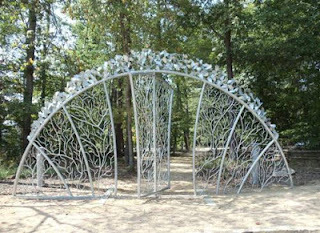 The leases for a number of the sculptures expire in mid-August. 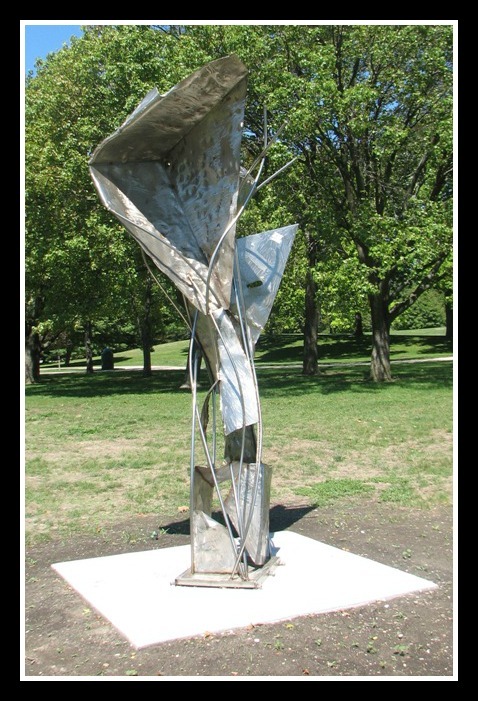 If you would like to learn more about how you can help keep sculptures in the community, please contact us at info@publicartleague.org. 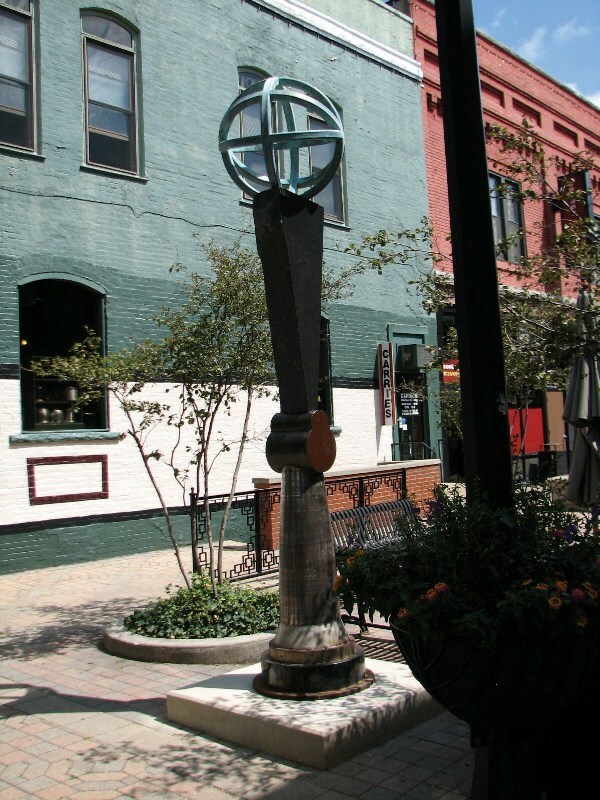 Join us on Tuesday, June 26 from 5:30p-7:00p at Big Grove Tavern as we unveil the sculptures that could make their way to Champaign-Urbana this year! Artists from all over the country have submitted their entries and you will get a special sneak peek at the wonderful pieces that have been selected for installation. 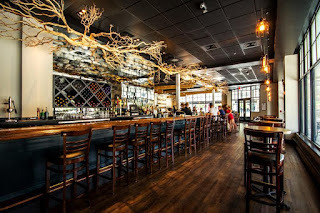 Enjoy the beautiful new Big Grove Tavern in the One Main Building in downtown Champaign. 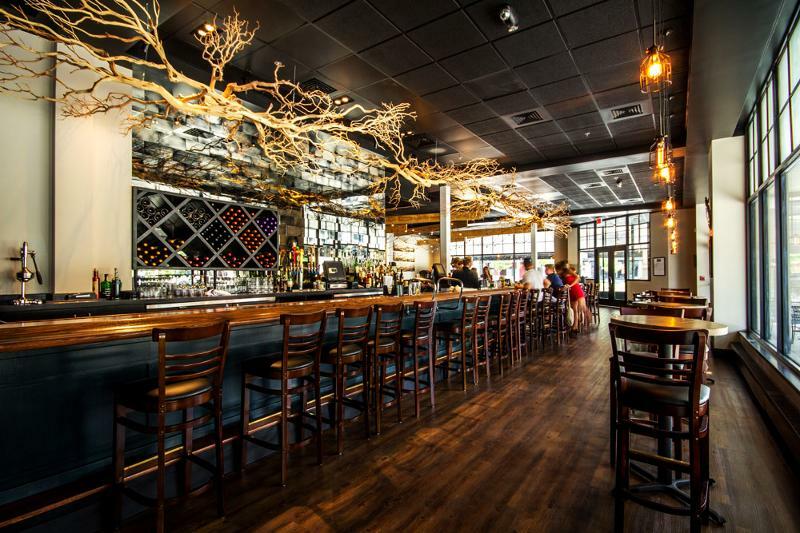 There will be a cash bar with tasty hors d'oeuvres donated by our friends at Nash & Marlow and the Barham Benefit Group. Please join us for this exciting evening! 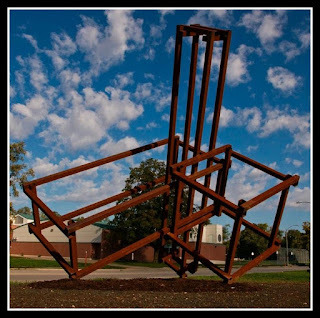 The Public Art League is seeking submissions of sculpture for potential installation in the Champaign-Urbana area from 2012 through 2014. Entries should be submitted by June 8, 2012. 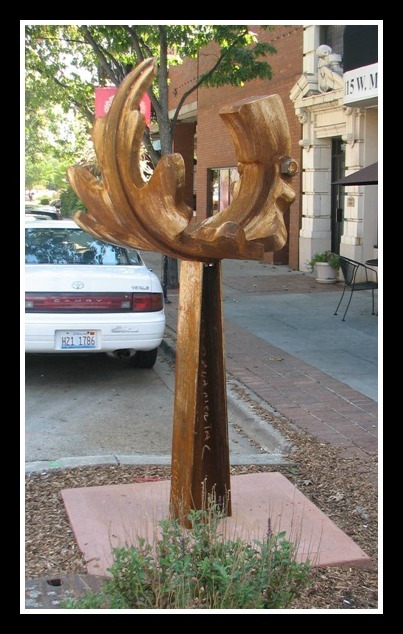 Additionally, the Public Art League, in collaboration with the City of Urbana Public Arts Commission, is seeking submissions of tree-themed sculptures for potential placement in downtown Urbana to celebrate Urbana's designation as a Tree City USA. 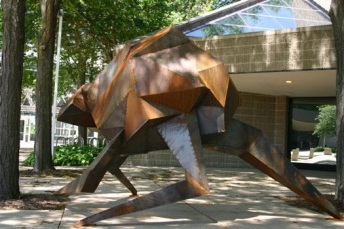 The sculptures will be leased for a 2-year period with a deadline for submissions of June 15, 2012. For further information, visit www.publicartleague.org or call 217/898-8263. 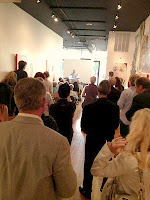 Thanks to all who were able to attend the Public Art League's Spring Soiree on April 9. We had a wonderful evening in the shared space of Figure One and Cream & Flutter, enjoyed comments from Robin Hall, entertainment by the Drew Ninmer Quartet and Elizabeth Buckley and received generous donations to help bring more public art to our community. 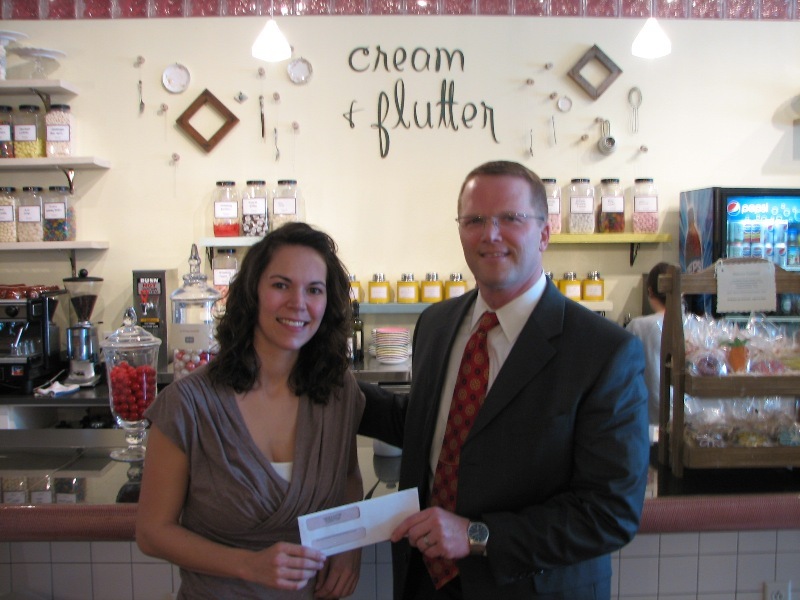 Thank you to Cream & Flutter for generously donating 5% of their sales from the months of January and February to PAL. We also owe them a big thanks for all of their help with the Spring Soiree. 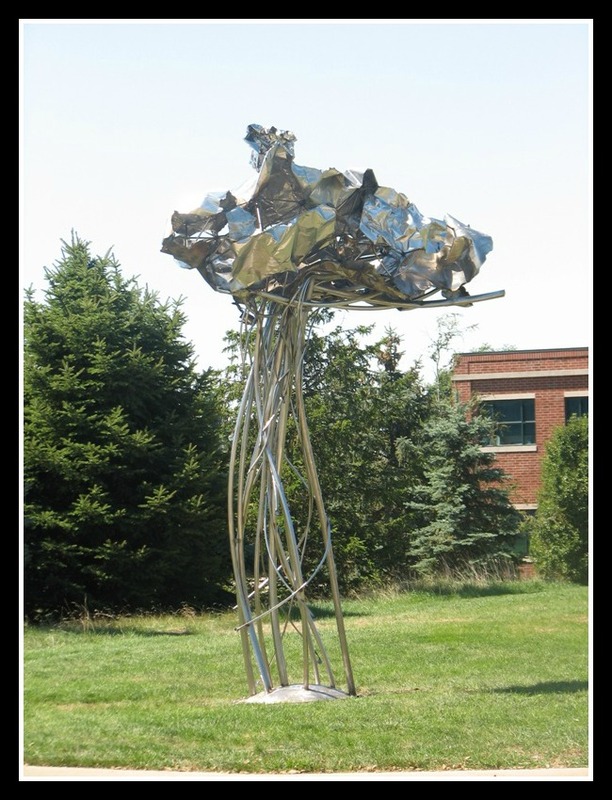 PAL would also like to thank the Barham Benefit Group for a generous donation which has allowed the Public Art League to showcase the installed sculptures and thank its fantastic site sponsors through a series of ads in the News Gazette. 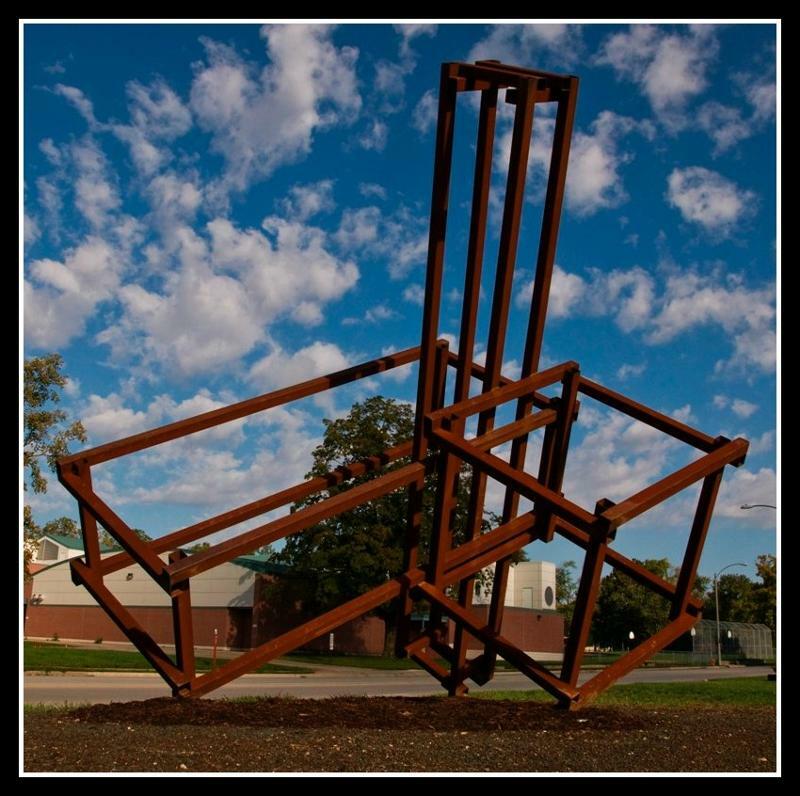 Help Keep Great Works of Art in C-U! 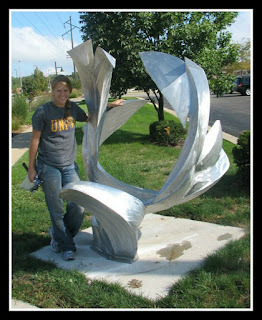 In Sugust of this year, the leases for 7 of the sculptures installed in Champaign-Urbana will be coming to an end. 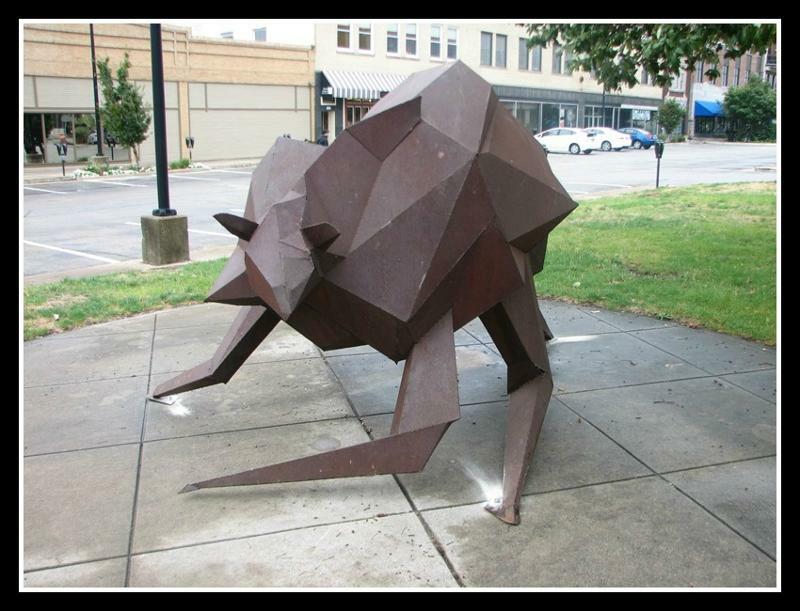 To find out how you can help keep these amazing pieces in the community, please contact us at info@publicartleague.org or call 217/351-4225.